​Colin MacLellan was born in Dingwall, Rossshire in 1958. The family moved to Edinburgh shortly afterwards in order for his father to take up the position of Chief Instructor at the Army School of Piping in Edinburgh Castle. 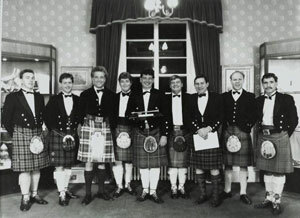 He learned the pipes from an early age from John D Crichton at George Heriot's School, who was his principal teacher until around 1973 when the influence of father John A. MacLellan became predominant. In between these teachers, Colin had short spells of teaching from Hugh CR MacRae, at consecutive summer schools in his native Dingwall from Pipe Major Ronald MacCallum, and from Duncan Johnstone in Glasgow. Amongst these teachers, Colin also has been highly influenced by the playing of Iain MacFadyen and the late J D Burgess. Starting his competitive career in Scotland, Colin started playing in Open competitions in 1976. He moved to Canada in 1977 at eighteen years of age and spent the next 22 years in the province of Ontario. His services as a teacher particularly at summer schools were quickly in demand for during his years in Canada he taught at seventeen different schools. In Canada he was a successful reedmaker, putting to use the skills which he had learned as a youngster in Edinburgh. In 1986 he moved to Glengarry County Ontario, where he was appointed Piping Teacher for the Stormont Dundas and Glengarry County School Board as well as the Pipe Major of the Glengarry Pipe Band. Teaching at three different high schools, and also as the Director of the Glengarry School of Piping and Drumming, he soon was able to move the Glengarry band through the grades, from Grade 4 all the way to its eventual promotion as a Grade One band. Along the way the band won Canadian, US, and North American titles in Grades 4, 3 and 2. In the early 1990's Colin studied Political Science at Carleton University in Ottawa, obtaining a Bachelor of Arts degree, and later at Brock University in St Catherines, Ontario achieving a Bachelor of Education degree. He holds Teaching and Graduate Certificates from the Institute of Piping as well as a Province of Ontario Teaching. In 1992 Colin was the recipient of the First prize in the international composing competition for Piobaireachd, held by Clan Donald Canada. His tune was entitled "The Salute to Sir John A Macdonald" and he played it for the Prime Minister of Canada the Right Hon Mr Brian Mulroney PC QC at a ceremony marking the 100th anniversary of John A. Macdonald's death in Kingston, Ontario. In 1992 Colin also recorded volume 11 in Lismor's "World's Greatest Pipers" series. ​In 1999 Colin and his wife Jenny Hazzard moved to Scotland, with Colin taking up a position as Head of Piping Studies, being responsible for educational initiatives at the National Piping Centre as well being instrumental in the creation of the BA Scottish Music - Piping degree which is jointly offered by the Centre and the Royal Scottish Academy of Music and Drama. During this period he served as an external examiner for RSAMD. During 1999 Colin was appointed the Pipe Major of the Lothian and Borders Police Pipe Band which during the previous season had lost its Grade One status for the first time in the Band's storied history. To Colin fell the task of rebuilding, and within one season the band had secured the Champion of Champions title in the lesser grade and once more took its place in the top flight. He is the last Pipe Major of the Lothian and Borders Police Pipe Band to have lead the band to the finals of the World Pipe Band Championship. Colin was appointed the President of Scotland's Competing Pipers Association in 2000, and during his tenure CPA became an active and influential force. 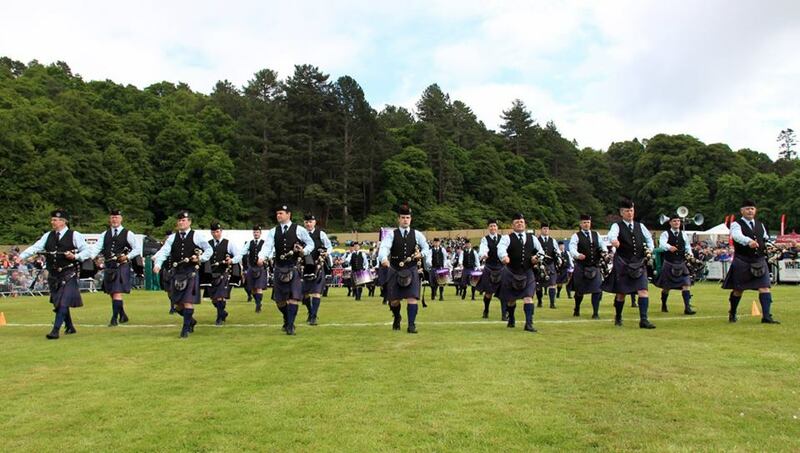 A circuit of six Piobaireachd competitions were established at Scottish highland games, and the Duncan Johnstone Memorial competition was founded, an event run in tandem with the National Piping Centre which has become the pre-eminent competition was Scotland's aspiring professionals. CPA during this time under Colin's leadership initiated reform of the Joint Committee for judging with a new structure and reassessment of procedure being established which lead to the return of Senior Adjudicators who had not judged for some years. In 2001 Colin took up a position as Piping Teacher at The Edinburgh Academy, a post which he filled until December 2007. Colin MacLellan has sat two terms as Chairman of CPA's Grading Committee as well as returning to international teaching and judging commitments, examining and reedmaking. Instrumental in the reformation of Edinburgh's famous Eagle Pipers Society, he serves as its Honorary President and was appointed a Senior Judge of Scotland's Joint Committee for Judging upon his retirement from competition in 2007. 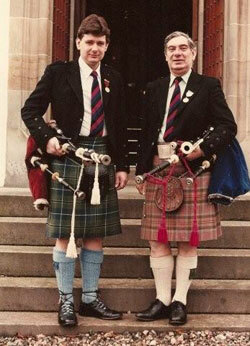 Colin also served a term as Chairman of The Piping and Drumming Qualifications Board starting in 2014. He is currently a member of the Spirit of Scotland Pipe Band, and has recently produced a book and CD of his father's complete piobaireachd compositions..
​A Canadian citizen as well as a UK national, Colin lives and works in Edinburgh with his wife Jenny Hazzard. He has a daughter, Emily Kate, who has played in the grade one 78th Highlanders Halifax Citadel and the grade one Toronto Police Pipe Band, and a son Iain, who plays with the Cameron Highlanders of Ottawa Pipes and Drums. 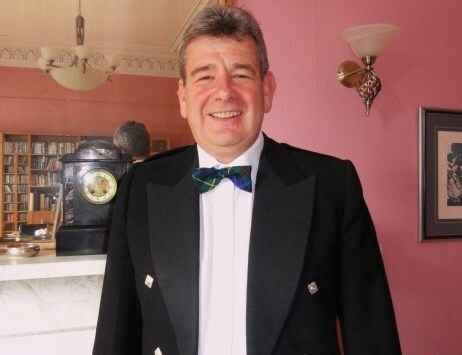 Colin presently serves as Chair of the Scottish Solo Piping Judges Association.